Thermometrics laboratory has an operating range of -100 °C to +1200°C and is designed to support our research, and production operations. Calibrations are performed in accordance with ANSI Z540 and MIL-STD 45662 and are traceable to N.I.S.T. industrial specifications such as AMS, ASTM, DIN, IEC, and JIS are common knowledge among our calibration staff. 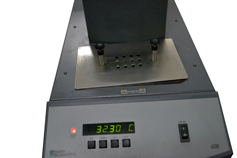 Temperature Range (-100 to 660°C) Liquid baths are a temperature measurement and calibration tool used for immersing products and immediately exposing them to a very specific temperature. 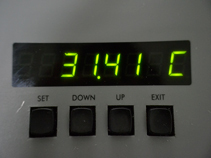 Liquid baths are often used for the calibration of temperature measuring devices such as thermometers, sensors, thermocouples and various other products. Need the most accurate thermocouple calibrations possible? The Thermocouple Furnace gives you a broad temperature range to 1200 °C, and stability up to 0.05°C. Alternative calibration tools such as a sand bath or fluidized alumina bath have been used for calibrations up to 700 °C but with very poor comparative performance. Gradients of several degrees are common in a sand bath, along with poor stability, resulting in low-accuracy calibrations.